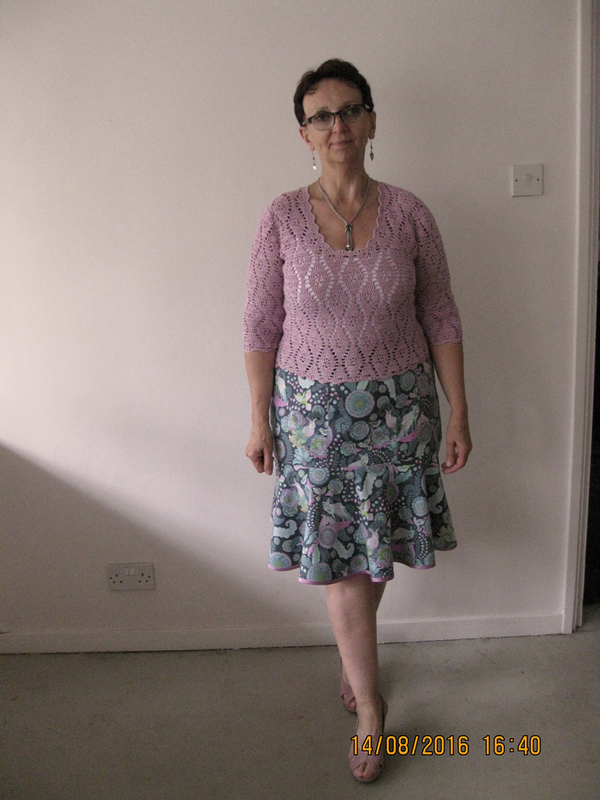 Rachel wearing her Tula Pink for Free Spirit woodland animals print cotton skirt using Vogue 8588 pattern, the hem is bound in satin bias binding. She was worried she was going to feel like mutton dressed as lamb (as if), but actually feels fabulous wearing it. There were debates about adding lace to the hem to extend it (there is no more of the fabric) but we think she’s right to have left it be.